Raw milk is a highly perishable product, so it should be chilled as soon as possible. Polish standards specify that milk must be cooled from about 35 ° C to 8 ° C while collecting milk daily and to a temperature of 6 ° C to 4 ° C if the milk is collected every other day. 4 ° C is the most suitable temperature of milk storage. 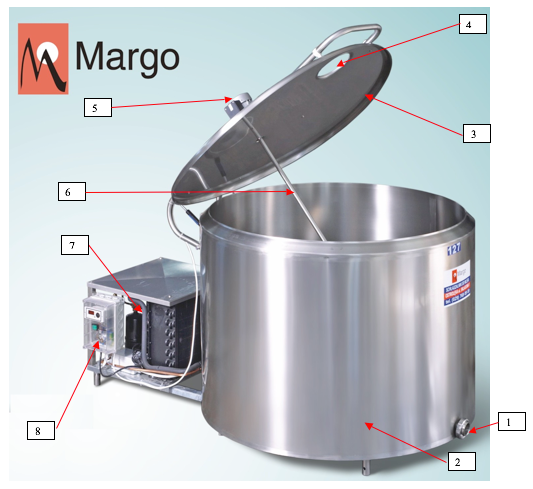 At this temperature the growth of bacteria is inhibited, and therefore more dairies require from their suppliers to cool milk to that temperature. Farms producing milk use various devices to cool milk. Outgoing from use milk jug cooling tanks and immersion cooling through to the open round or bath type milk tanks up to large farms who use big bulk tanks or silo tanks. Type of milk coolers depends largely on the amount of milk produced and the method of milking cows. Most popular among dairy farms way of cooling and storing milk are milk coolers of different types (round, bath, bulk) depending on the amount of milk produced. Choosing the right size cooler undoubtedly influences the quality of milk stored in it. 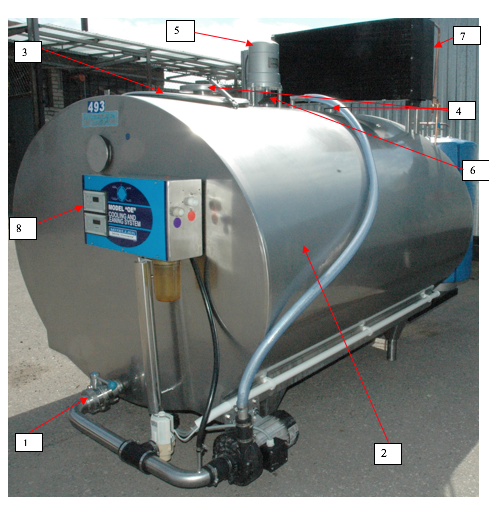 We should always remember to choose an appropriate capacity milk tank (a full milk tank will extend the cooling time, increase power consumption and can also be a problem if the milk coolecting truck does not arrive), it also should not be too large (small amount of milk may cause frost). The room temperature should not fall below 5 ° C or exceed 20 ° to 25 ° C. In this temperature range, the cooling unit is operated under appropriate conditions without the intake of excessive amount of energy. Distance from the cooling unit to the nearest wall should not be less than 30 cm, to ensure free flow of air through the air-cooled condenser. For a cooling unit with a capacity of up to 0.5 hp there is no need for ventilation. The room should provide sufficient free air flow (Figure 1). For units above 0.5 hp it is recommended that a special air intake is installed. The inlet should be placed in the wall in front of the condenser. 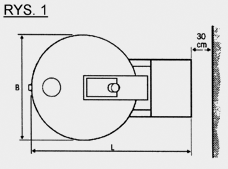 The vent should be provided with a movable shutter (Fig.2). Warm air coming from the unit should be removed from the room. To do this, install the outlet of hot air, as high as possible and away from the air inlet. The inlet should be fully open during the summer heat. Intake should be reduced by 90-95% when the outside temperature falls below 5 ° C.
Cooling tank should have a separate power outlet fused matched to the power of a milk tank and overload protection, RCDs and phase failure sensor(3-phase socket). As soon as milk is collected the tank should be washed as quickly as possible to prevent drying milk residues on its walls. Cleaning right after emptying the tank is much easier and more effective. You should always follow the instructions for washing; Do not use scouring pads and brushes made of metal or other abrasive materials. Remember to wash the outer surface of the tank. Once a month you should clean the surface of the condenser with a dry nylon brush (never metal brush). The condenser should be kept clean. Dust on the condenser reduces productivity, increases the cooling time and increases energy consumption.